Nevertheless, some interesting news on the game pops up every now and then. 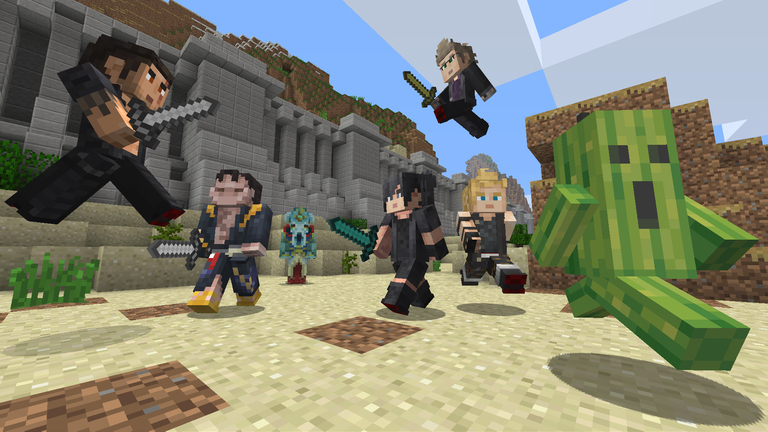 In this case, it's the fact that 43 of Final Fantasy XV's cast of characters have been transported into Minecraft's procedural realm. Assuming you're playing the Windows 10 edition, you can pick up the "Final Fantasy XV Skin Pack" for $3, which seems like a decent deal considering the amount of options it grants. Maybe you're not feeling the likes of Noctis and his bro-tastic crew. Fair enough. Perhaps you'd be more interested in playing as a chocobo, cactuar, or even Ifrit? Even if you're not into the fifteenth iteration of the Final Fantasy series, the pack contains a number of characters and creatures that are (more or less) intrinsic to the franchise, so you're sure to find something in there that you're dying to try out. 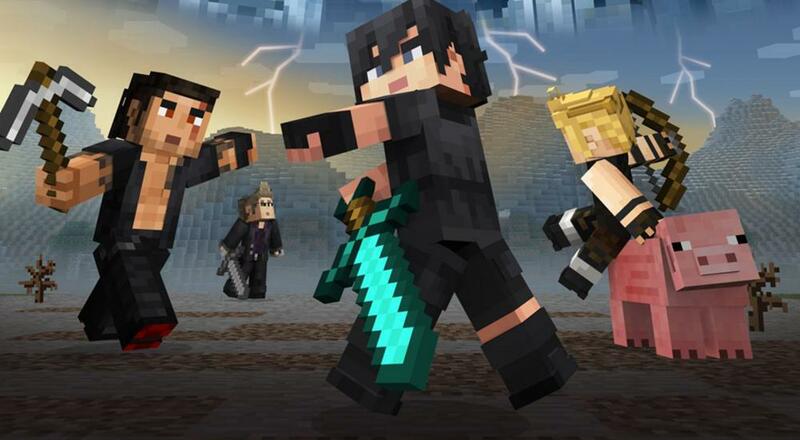 Given Minecraft's eight player online co-op, it seems fairly likely that a few folks are already traipsing around a blocky landscape as a motley crew of FFXV heroes/creatures/villains, and good for them. May their road trips be filled with campfires and delicious food.